MURFREESBORO, Tenn. — Abortion activists stood outside of a Tennessee courthouse on Monday with signs calling for “abortion on demand and without apology” and for charges to be dropped from Tennessee woman who attempted a coat hanger abortion to kill her unborn son. As previously reported, Anna Yocca, 31, an unmarried mother, reportedly filled her bathtub with water this past September and then “took a coat hanger and attempted to self-abort her pregnancy.” When she began bleeding, Yocca became concerned for her safety, and her boyfriend drove her to the hospital. Doctors were able to save her baby, now named Leo, who was 24 weeks gestation or six months. However, the child suffered injuries to his lungs, eyes and heart during the attempted murder that will likely require medical attention for the rest of his life. As a result, Yocca was indicted earlier this month by a grand jury for first degree attempted murder and held on $200,000 bond. 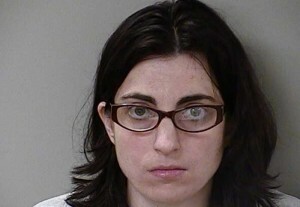 On Monday, she appeared in court by video monitor from the Rutherford County Jail where Judge Royce Taylor entered a not guilty plea on her behalf.